During the First General Assembly of International Solar Alliance (ISA), held today in Greater Noida, India, State Minister for Foreign Affairs Md. 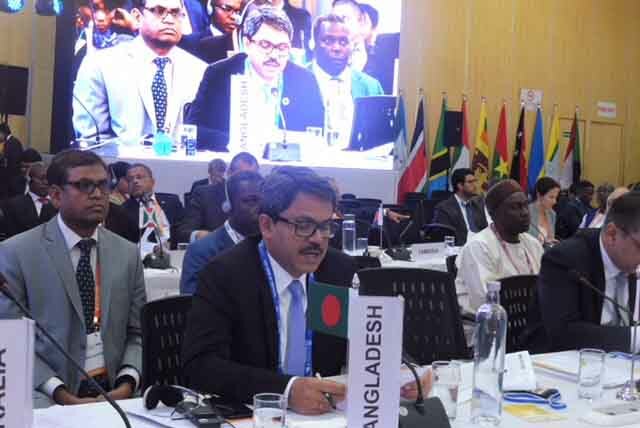 Shahrial Alam, MP, delivered the country statement where he expressed Bangladesh Government’s willingness and commitment to work with the member countries of ISA for ensuring sustainable solar energy. He also underscored the Government’s priority for green and clean energy. 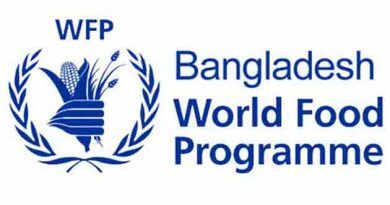 In his statement, the State Minister elaborated the current status of solar energy usage in Bangladesh. Conveying Bangladesh Government’s readiness to share its innovation with the member states of ISA for better solar technology, he also informed the international dignitaries present in the Assembly that Bangladesh had already shared best practices in Solar Home System with several African countries. He urged the Assembly to work for a cheaper and reliable solar energy through the transfer of solar technology among the member countries. The State Minister concluded with a suggestion that “collective approaches” can fulfil the goal and aspiration of the member states of ISA in this regard. State Minister for Foreign Affairs Md. Shahriar Alam is on a three-day official visit from 02-04 October 2018, Delhi, India. He arrived in New Delhi on 02 October and attended the Inaugural Ceremony of the First General Assembly of the International Solar Alliance (ISA), and the 2ND IORA Renewable Energy Ministerial Meeting. The events were simultaneously inaugurated by the Prime Minister of India Shri Narendra Modi with the presence of UN Secretary General Antonio Guterres and ministerial delegation from many of the ISA member countries. 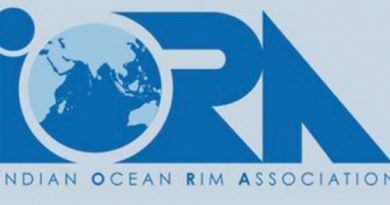 IORA nominates Bangladesh as the Vice Chairman of IORA for the period of 2019-21 and eventually as the Chairman for the period of 2021-23. Bangladesh-Brunei First Bilateral Consultation held in Dhaka the next foreign office consultations will be held within two years in Brunei.